Whether you’ve got a trusty 5 year old Otterbox’ed up Android workhorse or the latest iPad, Farm At Hand has got you covered! Creating a Farm At Hand account is quick and easy. All that you’ll need is an email and a password (no credit card is required – remember, it’s free!). Visit the App Store to download Farm At Hand. Start setting up your farm! Visit farmathand.com and click “Get Started”. Fill out your details and click “Sign Me Up”. 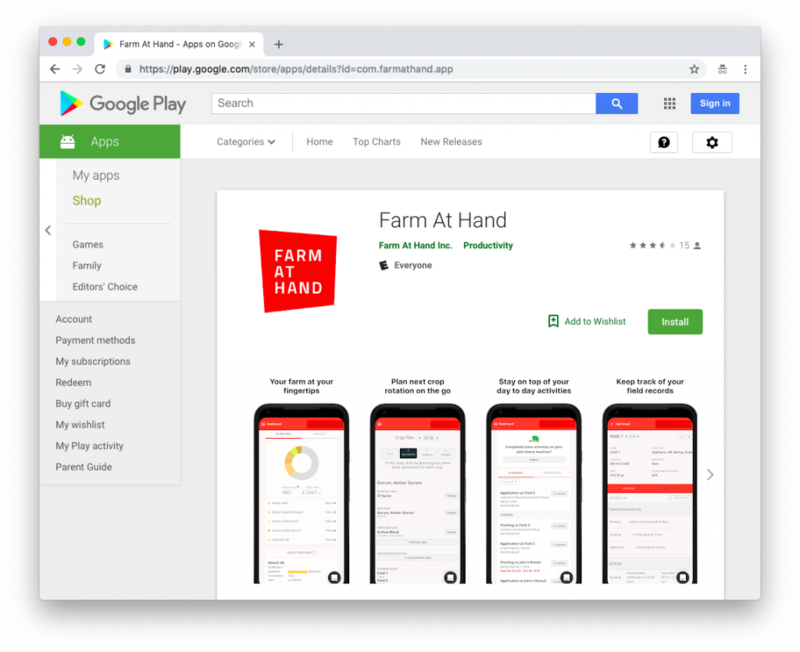 Visit the Google Play Store to download Farm At Hand. Follow the same steps for signing up on the Web.